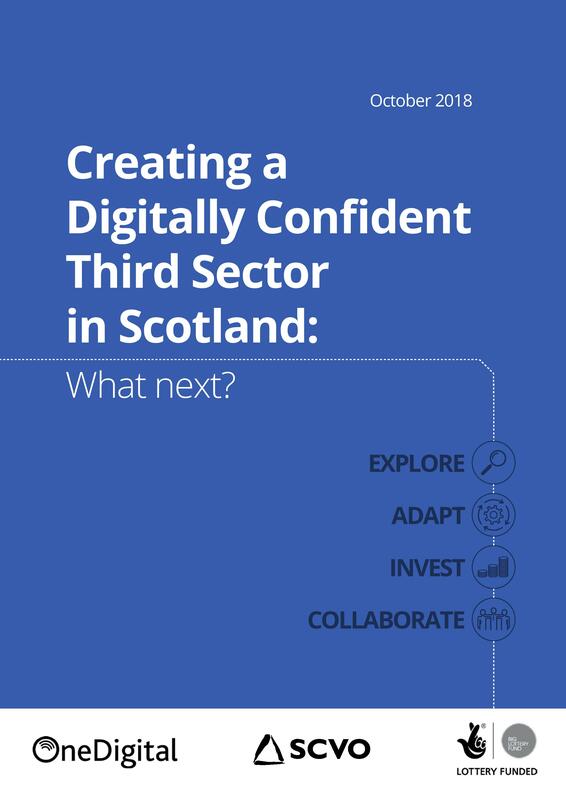 In November 2016 we published the “Call to Action to Create a Digitally Confident Third Sector in Scotland”. This was based on the learning from our work with 19 leaders who developed their knowledge, skills and vision for digital leadership. They saw that digital leadership wasn’t just about using new technology. It was about understanding people’s changed expectations, challenging ‘the way we’ve always done it’ by being curious and bold; responding to people’s new expectations. We know that new technology and the internet continue to transform the way we live, work and learn. On 22nd October, after listening to more than 80 senior leaders on their digital journeys, we published our follow-up “Creating a Digitally Confident Third Sector in Scotland: What Next?” This time we review the progress made and provide practical examples of how organisations are adapting and evolving in our digital world. We also explore what’s changed in the digital scene in the past two years and ask whether we are keeping up with the pace of change. We encourage those not on their digital journey to start it, those already engaged to re-double their efforts and everyone to share their success and learning.